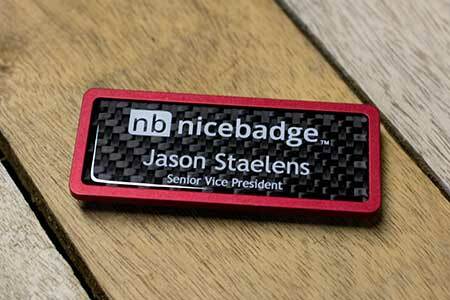 These sleek badges are our take on the next generation of name badges. 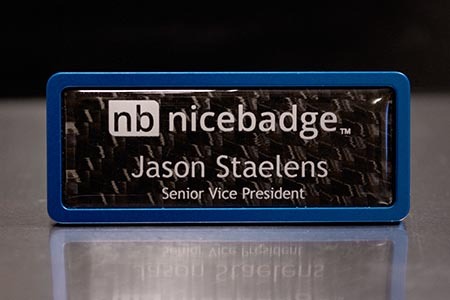 The back piece is CNC machined out of a solid block of aircraft grade billet aluminum. 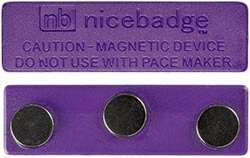 From there they are anodized for a beautiful look as well as more durability. 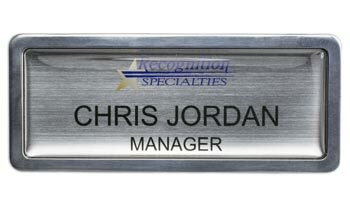 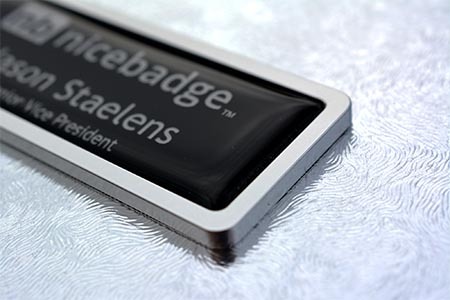 Your badge itself is then inset into the CNC aluminum piece, and a protective resin dome (NiceGuard) is added. 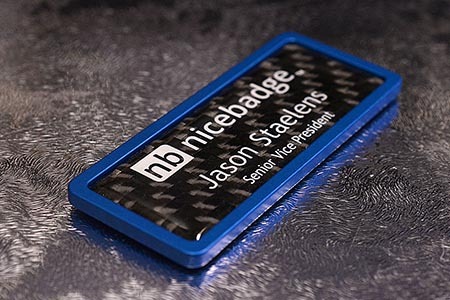 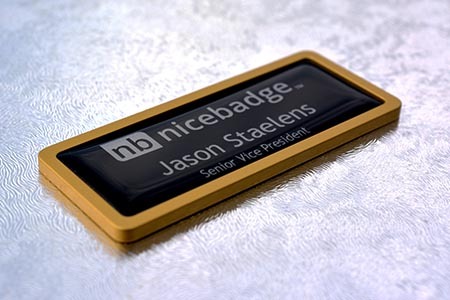 These badges were specifically designed by NiceBadge to be light, durable, and modern looking, truly some of the nicest badges in the industry.